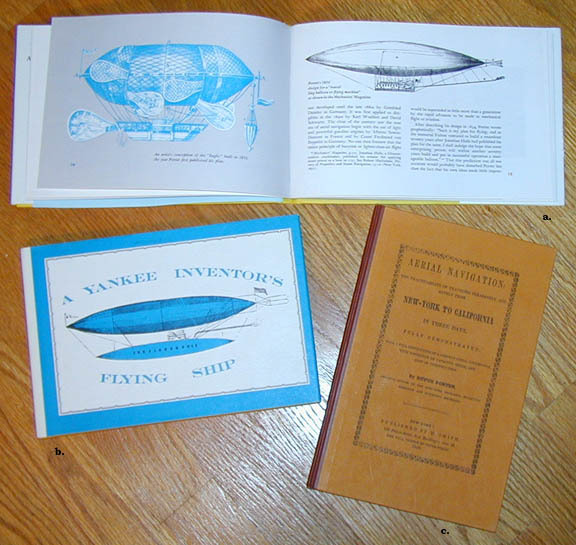 Images a and b are Gilman's copy of A Yankee Inventor's Flying Ship, published in 1969 by the Minnesota Historical Society. Rhoda R. Gilman's reprint contains many figures from early Porter publications such as those illustrated in image a which are from Porter's 1834 publications. 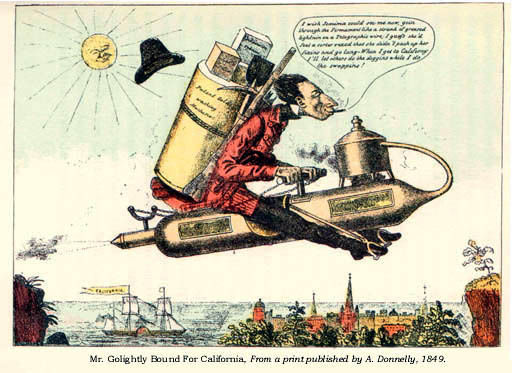 Image c is Lawton R. Kennedy's 1935 reprint of Porter's pamphlet: Aerial Navigation - The practicability of traveling pleasantly and safely from New York to California in Three Days with an Introduction by Lieutenant-Commander H.V. Wiley, USN of the USS Macon and illustrated with three colored lithographs issued as burlesques in 1849 by N. Currier and A. Donnelly.